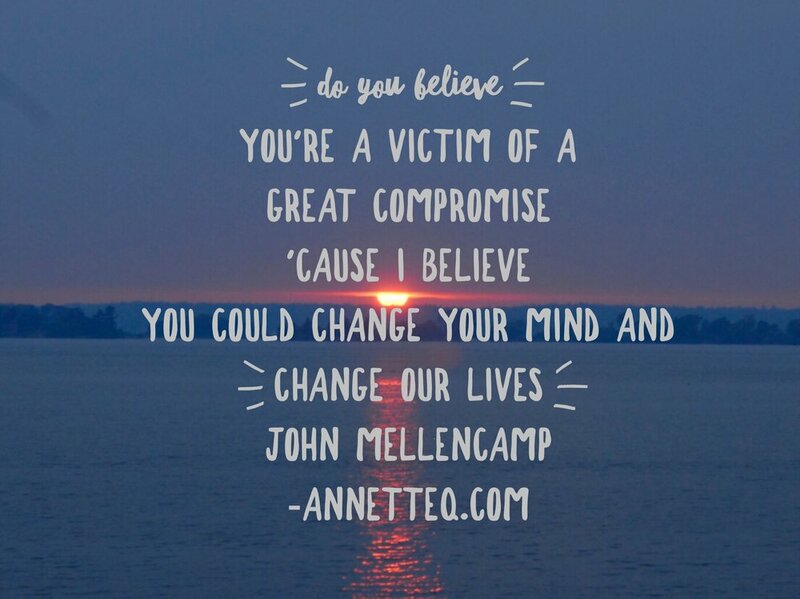 This weeks quote is from the song Your Life is Now by John Melloncamp. It’s a reminder how if we stop playing victim and change our mindset, we can change our lives. Your mental health is just as important as your physical health but why do we not workout our minds like we do our bodies? Listen for just 8 minutes and see how you can begin to think differently, once you are aware of what you are thinking about.